The first reference to golf in North Berwick is taken from the Kirk Session Minutes on 20th September 1611 when Thomas Gowan and Alex Lockart were caught golfing on the Sabbath and were summoned to appear in front of the minister and congregation to apologise for their behavior. The community were fortunate the landlord Sir Hew Dalrymple gave the ground where they could play their sports and the Town Council encouraged the inhabitants to form Clubs and Associations. The leaders of the Town Council Peter Brodie and John Whitecross were keen sportsmen and made golf their chosen recreation, setting a standard for the community to follow for over fifty years from 1853. Former Provost Peter Brodie could remember as a boy carrying his fathers' clubs which comprised of a heavy iron, putter and spoon. This formed the set generally used by the townsfolk when they played. Golf was originally played on the East Links during the winter months before the golfers moved to the West Links about 1790. The West Links was extended to nine holes in 1868 under the supervision of John Whitecross which included the sixth hole named Redan. In 1877 the course was lengthened to make eighteen holes beyond the March Dyke on Ferrygate farm land owned by the Right Hon. Nisbet Hamilton. The extension to the Eil Burn was supervised by the Green Committee with advice from Tom Morris and Davie Strath who was appointed 'Keeper of the Green' in 1876. The course was short with many holes 200 yards suiting the equipment of the day, but this led to congestion and long delays. Additional ground was leased in 1895 and the course was extended west of the Eil Burn creating many new holes including the present 14th hole named 'Perfection' for the first time. 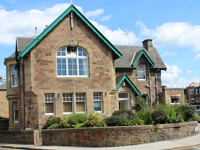 The minutes state the extension was carried out to the plans proposed by Jack McCulloch secretary of the Green Committee. The ground was laid out by head greenkeeper Tom Anderson (Montclair Golf Club 1900) and his assistant James Litster (Philadelphia Cricket Club 1897) before they both emigrated to America. In 1932 more ground was acquired in the area known as 'The Bents' which extended along the seashore to the north of the old 10th and 11th holes. The new alterations were carried out under the supervision of Ben Sayers Jnr. and Major Cecil K.Hutchison. There are three independent golf clubs playing over the West Links. North Berwick Golf Club founded by the gentry in 1832, Tantallon Golf Club established by the merchants in 1853 and Bass Rock Golf Club founded in 1873 for the artisans, the clerks, teachers and tradesmen. They were joined by the North Berwick Ladies Golf Club in 1888. The North Berwick New Club was formed in 1879 and a year later they built the clubhouse overlooking the eighteenth green. By 1962 the membership of the North Berwick Golf Club had declined to a point that the North Berwick New Club was approached to take over their assets including the trophies. On 1st January 1963 the New Club adopted the name North Berwick Golf Club and the new club controversially advertised itself as founded in 1832. 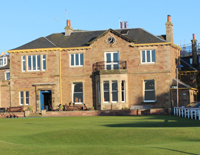 The Ladies Golf Club became full members of North Berwick Golf Club in 2005 and share the facilities. Tantallon Clubhouse is situated in Westgate and Bass Rock Golf Club by tradition do not have a clubhouse but offer golf to their members at a reduced fee. 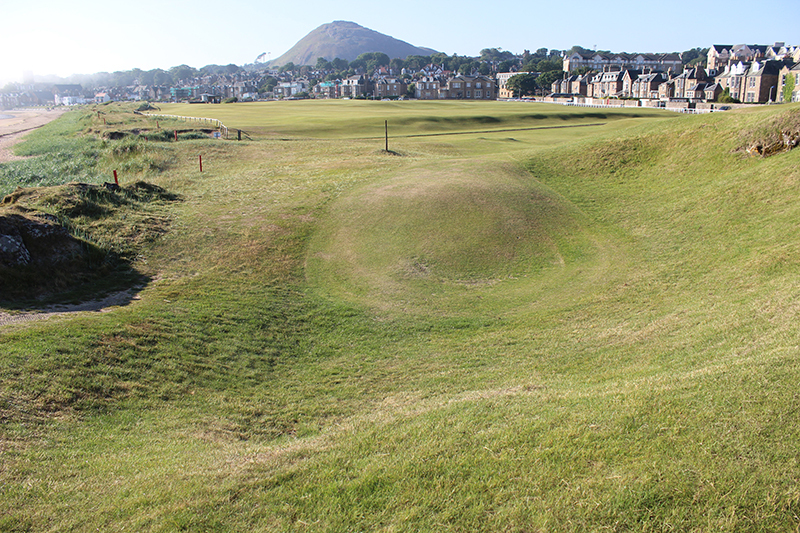 The course is owned by East Lothian Council under the auspices of Scottish Natural Heritage and managed by the North Berwick Green Committee made up of representatives from each Club playing over the West Links. Today duel membership of all three clubs is available for those wishing to participate in more competitions. According to Rev. John Kerr in his 'Golf Book Of East Lothian' it was Major John Whyte-Melville who on seeing the sixth hole on the West Links for the first time said it reminded him of the formidable fortress or redan he had encountered at Sebastopol in the Crimean War. The connection with the Crimean continues at the fourth hole with the plantation of trees on the left and sand dunes on the right forming a narrow passage which the Victorian golfers name 'Shipka Pass'. As the present ground opens Shipka House comes into view beside the fifth fairway which was the property occupied in the summer by Herbert Asquith, Liberal Prime Minister (1908-1916). When the Crimean War broke out Major John Whyte-Melville went out as a volunteer in the Turkish Irregular Cavalry. Whyte-Melville was Captain of St Andrews Golf Club in 1816 and 1882, a member of the ancient order of Royal Scottish Archers and a distinguished Freemason, Grand Master of Scotland. In 1899, Willie Park Jnr. challenged Harry Vardon to a 72 hole match; two rounds at North Berwick (West Links) followed by two rounds at Vardon's home course at Ganton. 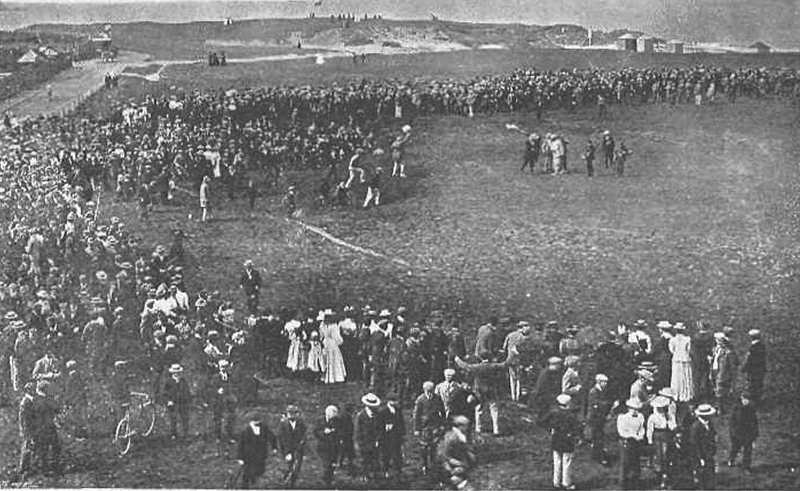 The first round was played at North Berwick in July when over 7,000 spectators arrived by special trains to watch the match and it was reported that the local shopkeepers closed their premises to follow the afternoon round. Park played poorly throughout and over the double Vardon was the clear winner of what has now been recognised as the last true challenge match ever to take place. Visitors and members can play the same shots as Park and Vardon from a hundred years ago, particularly the 13th hole named 'The Pit' where Willie Park came to grief. The first club-maker to set up business in North Berwick was Willie Park Snr. from Musselburgh in 1873-75. He was followed by Davie Strath (1876), then James Beveridge (1880) from St Andrews before Tom Dunn (1881) returned as greenkeeper and club-maker. The original club-makers workshop was sited in the quarry below the first green where James Beveridge made clubs and balls. In May 1882 the landowner Sir Walter Hamilton Dalrymple constructed a timber workshop beside the first tee where Tom Dunn made clubs and balls. This was replaced in 1887 with a new workshop (present professionals shop) designed by Tom Dunn which included a large room for visitors with boxes for rent. When Tom Dunn left North Berwick in 1889 James H. Hutchison from Musselburgh took over the club-making business beside the first tee. In 1913 his son-in-law Andrew Bisset continued the club-making tradition on that site, before Ben Sayers leased the property in 1917. By the 1880s, the express railway engines and plush carriages served the well-to-do, with travelling time from London to Edinburgh reduced from 17 to 8 hours. One of the earliest references to North Berwick being called the 'Biarritz of the North' was included in article written by Edmund Yates, editor of 'The World' a weekly society journal. In November 1889, Yates wrote an article about Arthur J. Balfour when he used the term 'Biarritz of the North' to describe the town. The 16th hole, named 'The Gate', a 314 yard, par 4, has the most unique green in Scotland. The drive from the tee over a stone wall, has to clear a burn crossing the fairway at 195 yards. The green has a deep swale bisecting the middle and the extended green came into play in October 1895 when the Green Committee instructed Tom Anderson the greenkeeper to "Make new putting green on table east of present Gate hole putting green". The early North Berwick professionals to arrive in America regularily invited John Shippen the first African American golfer to join them. In those days racism was a very significant issue within all levels of American sporting events and golf was no exception. Dewey Brown and Charlie Sifford were among the pioneers, and the PGA eliminated the 'Caucasian Only' clause from its by-laws in 1962. In 1901, Stuart Anderson from North Berwick was appointed the first secretary at Royal Portrush. Alex Gow a greenkeeper at Muirfield was hired as the first full time greenkeeper at Royal Portrush and in 1907 Alex laid out the neighboring Strand course at Portstewart. Ben Sayers and Sandy Herd where engaged to recommend a layout for five new holes in the reconstruction of the Royal Portrush course in 1909. The work carried out by Alex Gow and his son Roy received high praise from the members. The course has two of the best holes in Irish golf, the 5th and 14th. The views from the 5th tee, a 379 yard, par 4, are stunning with the sand dunes, cliff tops and the hills of Donegal to the south. In 1911, Alex returned to East Lothian and was appointed head greenkeeper on the West Links, North Berwick, a position he held for 23 years until he retired in 1934. Robert Marr Thomson from North Berwick was eighteen years old when he emigrated to the USA in 1897 and was appointed pro at the nine-hole course at Merion Cricket Club. John 'Jack' Millar was hired as club maker in 1903 and remained at Merion until 1911. Robert Thomson was followed as head professional by his brother James R Thomson in 1905. In 1910 Tom Bonnar from Musselburgh was appointed professional. During this period Rodman Griscom, captain of Merion and his sister visited North Berwick and was tutored by Ben Sayers throughout the summer of 1902. They visited North Berwick again in 1906 and 1911 when Rodman Griscom invited George Sayers to take up the position of head pro at Merion Cricket Club. Sayers arrived in 1913 and was followed by a long line of club makers sent out from Ben Sayers & Son in North Berwick who passed through Merion on their way to fill positions at other clubs. Since the 1860s the Visitor's Golfing Association organised a juvenile competition over the short or Ladies course for boys over the age of ten years and for boys under fifteen, over the seven-hole West Links. In August 1867 Major A. V. Smith Sligo organised the first juvenile golf tournament over the Ladies course laid out with bunkers and greens. In 2011 the Children's course at North Berwick inspired a visitor to persuade his community in Maryville, Missouri to layout a 9-hole junior course designed by local resident and eight-times Major champion Tom Watson. The Ladies Golf Club was founded by the gentlemen members of the North Berwick clubs, to encourage their children and visitors to play the game. Many built their own summer house in North Berwick where they resided during August and September. As the popularity of golf increased the Green Committee laid out a nine-hole course designed by Tom Dunn in 1888, known today as the Children's course. Read about the members who pioneered ladies golf including, Helen Anderson, Marjory Fowler (Ferguson), Dorothy Campbell (Hurd), Jean Donald (Anderson), Elsie Grant-Suttie, who played most of her early golf in the company of men over the full course at North Berwick,and many think this is why she did so well in national competitions. Grant Suttie won the British Ladies Amateur Championship in 1910. During the period from 1898-1910 the golfing pioneers in California and Hawaii came from North Berwick, Scotland. David Stephenson, Robert Johnstone, Alex Bell, James L. Hutchison, and Alex McLaren, all served a five year apprenticeship in the workshop of James H. Hutchison, West Links, North Berwick. 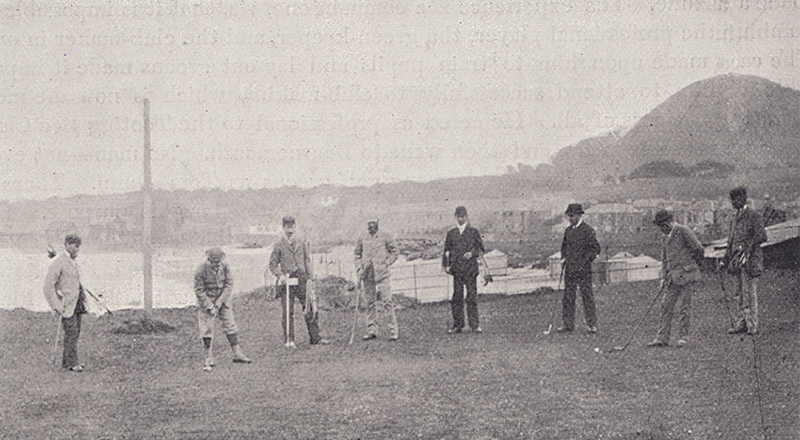 Golfers playing the first-hole on North Berwick West Links.